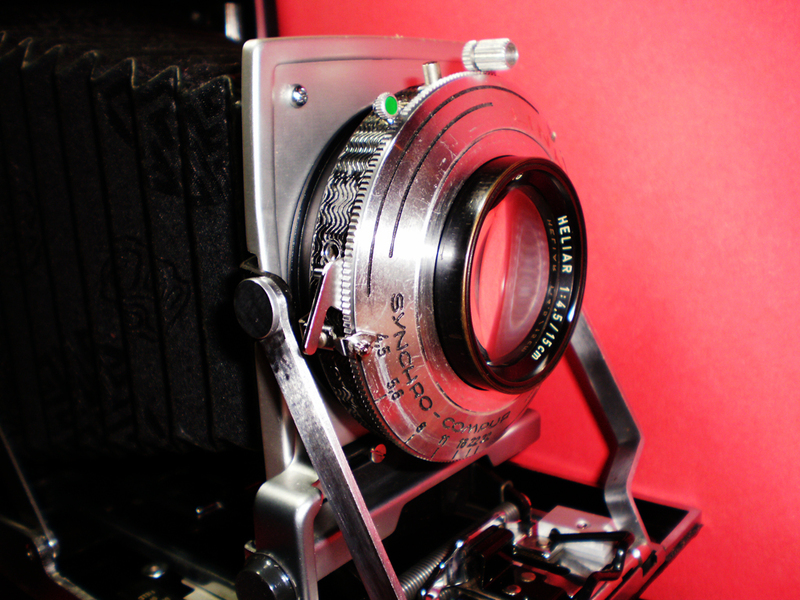 My Rangefolder Cameras: Lens board study--#1 shutter available for Byron now! Lens board study--#1 shutter available for Byron now! 110B camera was designed for 127mm lens, it's flat bed has 20mm of rail moving range, enough for 127 lens to focus from infinity to 3 feet. Now we are planning to use 150mm lens on it, 20mm range just makes150 lens focusing from infinity to 5 feet, I tried to extend the moving range flat bed, but fail, because the arm connecting the lens cam is not able to extend any longer. That makes 20mm rail very precious, we should utilize all the range on focusing purpose. When lens focuses at infinity, it gets shortest distance from lens to focal plane, and then distance added when focusing near objects. So we need at least locate the i.stop position for 150mm lens on flat bed, then utilize the rail movement for object within range. But the bed is so long to accommodate all 150mm lenses' i.stop, some 150 need little more extension for infinity stop. Previous post has discussed about this situation before. (We will discuss about variety of 150mm lenses later). Images below shows some i.stop for 150 needs no extension, but some need about 4mm of extension to achieve the shortest distance. 4mm of rail movement for i.stop, means that focus range will be shrinked from 5 feet to maybe 6 feet, which is, definitely not tolerated. The solution? 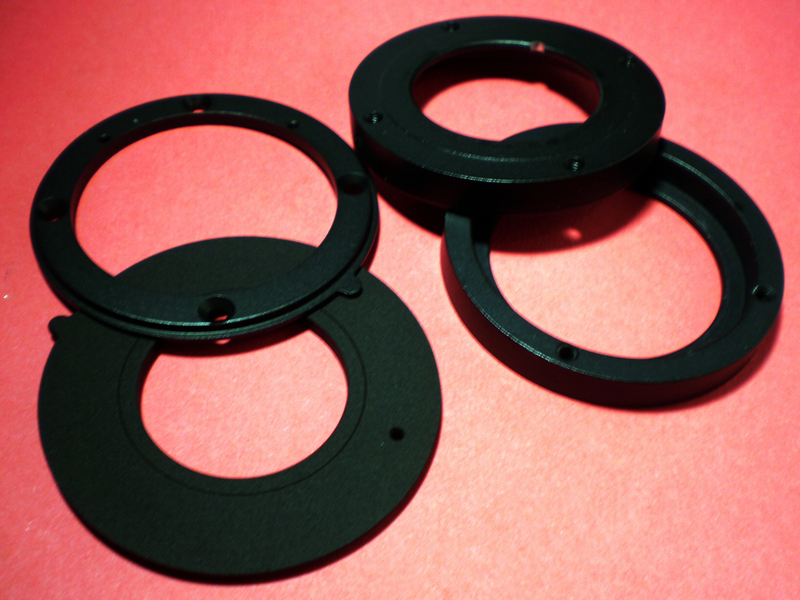 we should try to make 4mm extrudes of the lens when mounted, so to keep the precious full 20mm rail movement on focusing. So here is the answer, besides normal lens board, there are extruding version. 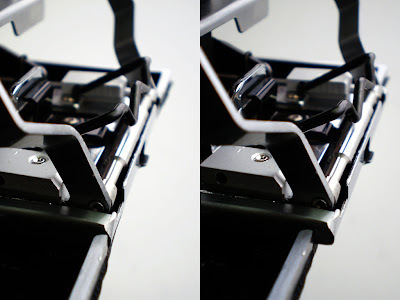 That complicates the parts we need, but it worth it, because not only it solve the 150mm lens problem, it also allows us to use #1 shutter on Byron. 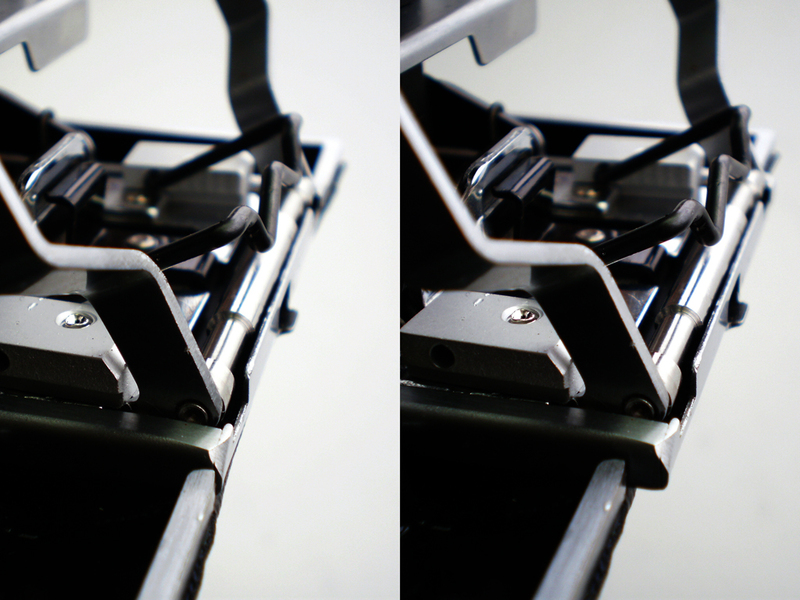 Extruding ring makes #1 shutter avoiding the collision with struts. Next time I will try my Angulon 6.8/120 on Byron!! Image below shows Heliar 4.5/15cm lens on Linhof #1 shutter, from Prof. Don, when the lens arrived I measure the shutter, it is OK to mount on normal lens board, but struts on both sides makes operation awkward, but now with this extruding lens board, not only solves the i.stop location problem, also makes this big shutter operates easily and cozy. Do you see it? Don?